While attending CES 2011 back in January, I spent an afternoon visiting the main television vendor floor where 3D TV was definitely the number one topic of interest; however, I found, and reported on, several vendors with display kiosks demonstrating Skype for TV. Michael Wolf, at GigaOm’s NewTeeVee, recently brought renewed visibility to the Skype for TV initiative in his post: Could Skype Be Microsoft’s Smart TV Trojan Horse?. Frankly, from my learnings that afternoon, his view about a role for a Windows OS on TV’s is baseless; it pays to look at the hierarchy for enabling Internet services on the TV’s. One common trend I observed in visiting these booths is that all the vendors have embedded as firmware a complete Internet-enabling smart platform that provides access to various “cloud” applications. Social networking services such as Facebook and Twitter are the most obvious. Amongst other applications are several involving movies, such as Netflix, and sports offerings, such as NHL and ESPN Sports Center. Skype, of course, was on at least six vendor offerings, using its SkypeKit platform, initially available for the Linux OS. In fact, Panasonic includes a dedicated Skype button on the remote controller for their Skype-enabled TV’s and BluRay players. Behind all this I learned how the TV vendors are embedding these platforms. It’s a case of having the platform software embedded into the TV’s firmware and hardware, then layering the applications on top of the platform. Given that SkypeKit is behind Skype for TV it appears that they are using a Linux-based operating system. Certainly there is no room, given the current state of these offerings and time frames involved, for an embedded Windows. On the other hand Skype for TV will bring to Microsoft exposure to experience with integrating applications onto these platforms. Windows Live services would be an obvious candidate for integration into these TV platforms. After all we do have Windows Live Messenger access on various smartphone platforms such as BlackBerry and iOS4. And one should never lose sight of the network effect. Skype for TV video calls can be made to over 170 million active users who may be on any of several platforms – PC’s, iPhones, Android phones. One of my first benchmarks for how Microsoft will deal with its Skype acquisition would be the introduction of a unique Skype for iPad. This would be an application that would allow video calling on the iPad 2 taking full advantage of the iPad 2’s display size. It has nothing to do with Windows or Office but rather providing new user experiences using resources at hand. Bottom line: It’s not a case of will Microsoft attempt to displace other OS’s on TV platforms with a derivative of Windows – that opportunity has passed them by. But rather the strategic opportunity lies in merging Skype’s experience with introducing a real time communications application onto TV platforms with Microsoft’s existing Windows Live experience on other platforms. 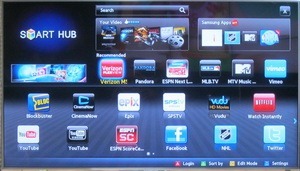 Michael also questions whether Google TV will be a competitor. In the end consumers want as few boxes as possible combined with ease of operation. If all the services, broadcast TV and Internet applications can come via one “box” the market for add-on boxes on home entertainment systems will eventually evaporate. How many HDMI connections will be tolerated by the average consumer?